“One of history’s grand divas“ Magdalena Carmen Frieda Kahlo y Calderón /de Rivera (1907 – 1954) was born and died in Mexico City, in her Blue House. 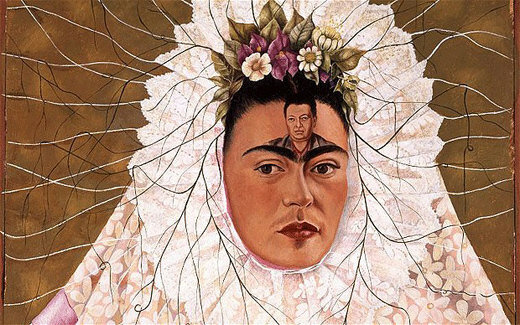 She is a Mexican painter, the most known with her self-portraits. Her painting is described as “surrealist”, full with pain and passion, and colored with intense and specific, vibrant colors. 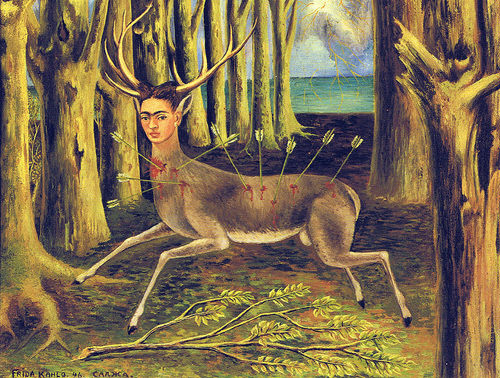 Her work has been characterized as Naïve art or folk art, and she became a symbol of national tradition in Mexico. Her life was full of pain, because she had lot of health problems, many of caused by a traffic accident when she was teenage. She spent over a year in bed recovering, and she endured more than 30 operations in her lifetime, isolated her from other people. 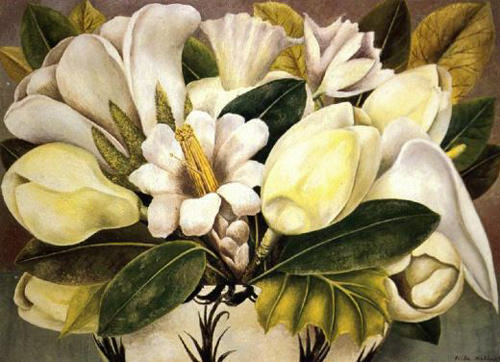 These issues are reflected in her works, especially in her self-portraits and still life. That is the reasons why her work is so different from the other artists of that time. 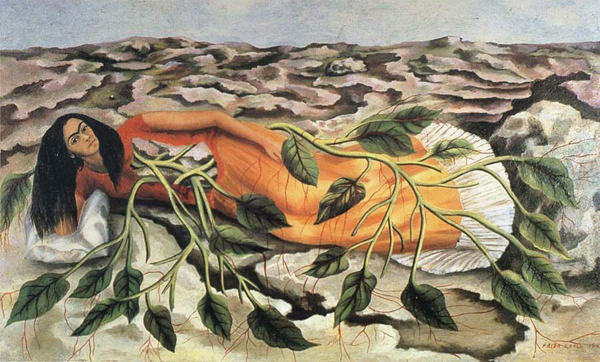 She was married with Diego Rivera, the famous Mexican muralist, and their relationship was as her life, stormy, full with problems, distrust, surprises and pain. They, have lot of to survive: different pressures of careers, affairs, divorce, remarriage, Frida’s health problems and her inability to have children. 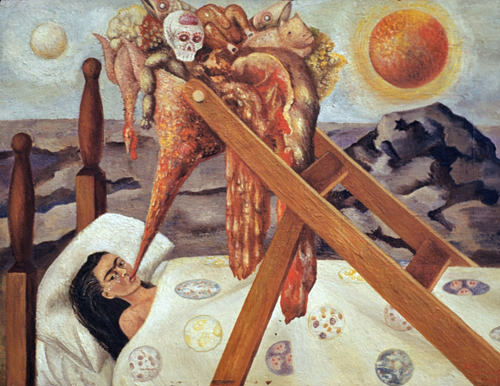 In 1938, when Frida Kahlo had her first (and only) solo exhibition in Mexico she was so week, that her doctor told her that she can’t leave the bed. She insisted that she was going to the opening and she did. She arrived in an ambulance, with her bed in a truck, and she was placed in her bed to waiting guests. Local newspapers wrote that it is impossible to separate the life and work. Kahlo and Rivera were active communists befriended Leon Trotsky during the late 1930s, after he fled Norway to Mexico to receive political asylum from the Soviet Union. Trotsky lived initially with Rivera and then at Kahlo’s home, and they had an affair. Frida created almost 200 works, paintings, drawings and sketches related to her experiences from life, of her pain and her turbulent love relationship 55 of which are self-portraits. Frida passed away in 1954, and on the day after her death, lot of peoples gathered to witness the cremation of Mexico’s greatest (female) painter. 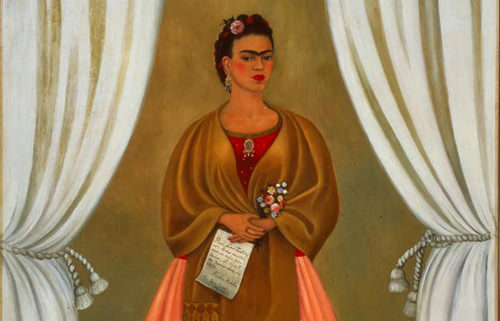 Frida Kahlo give to her fans unforgettable goodbye. 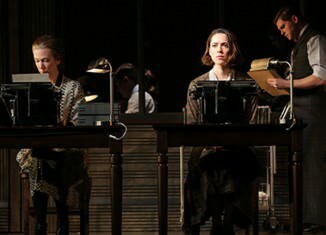 She wrote in her diary: “I hope the end is joyful – and I hope never to return “. But she doesn’t have too. She is still here, more than half century after her death as big inspiration for many artists all over the world. 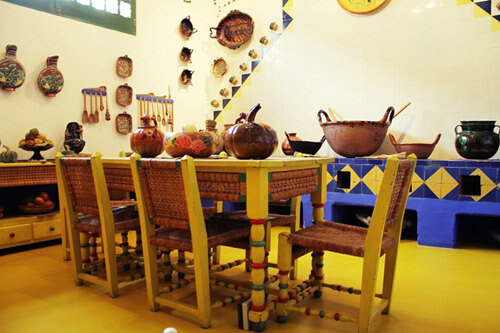 Her former home, The Blue House (La Casa Azul) since 1958 has been maintained at a museum. 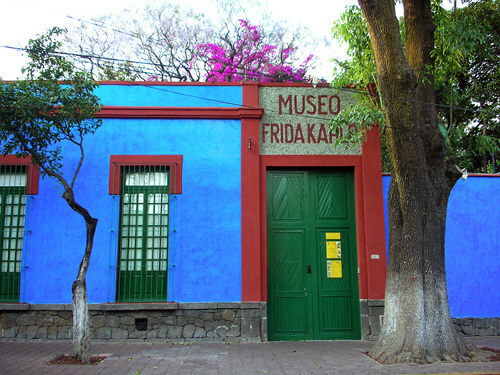 A visit to the Museo Frida Kahlo is real back in time. Numerous personal things, number of her works of art are displayed throughout the house and it all as she left it. Visitors have a filling she still lives there.